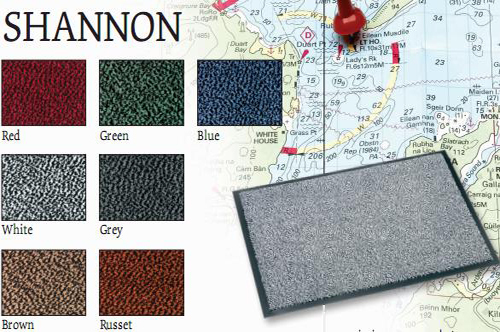 Blue Shannon Barrier Door Mats with vinyl backing. modern and contemporary deigns. Cheap and Affordable Door Mats to buy online today at Abbey-Carpets. Become the talk of the town with this new Shannon Blue Barrier Door Mat. Extremley stylish and vibrant this Door Mat is the perfect accessory for your home. Made from polypropylene cut pile with a vinyl backing it is of the best quality on the market. Brighten your home today with a Shannon Blue Barrier Door mats Online today with Abbey-Carpets.